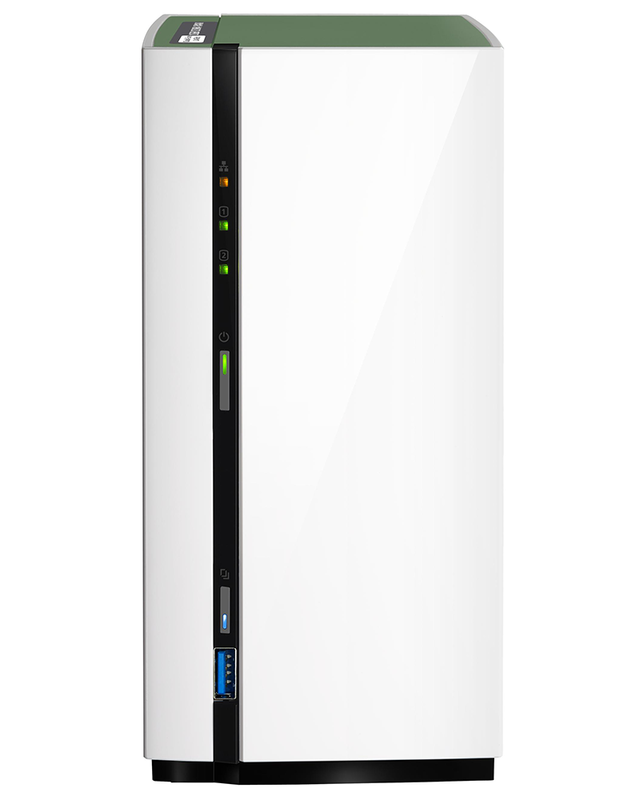 Network-attached storage has become a sought-after addition to today's connected home, and we've often stated that once you become accustomed to the versatility of a NAS, you may wonder how you ever lived without. But there have been some stumbling blocks along the way. Earlier models weren't particularly user friendly, the hardware tended not to be a stylish addition to the home, and pricing remained prohibitive. 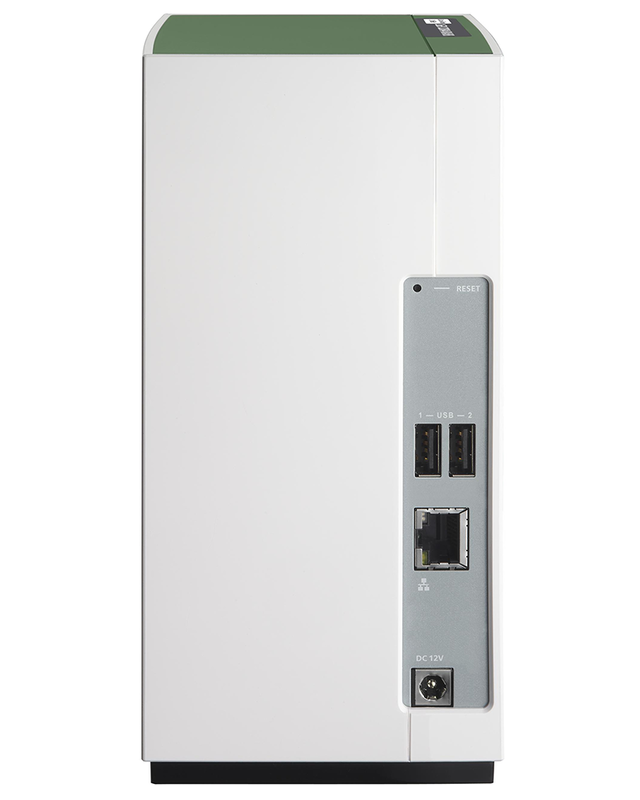 Measuring 188mm x 90mm x 125mm in size, the TS-228A is one of the more petite dual-bay NAS solutions on the market and is designed to blend neatly into the modern home. You'd hardly notice it on a bookshelf and the sleek white exterior, pale green lid and column of status LEDs are a far cry from the dark, bulky boxes of old. Such a svelte profile does result in a small 65W external power supply, yet it's a tidy package that can function with just two cables; power and Ethernet. Keeping it simple is the name of the game at this price point, yet we're pleasantly surprised to find the front of the unit equipped with a USB 3.0 port for one-touch copying from an external drive. 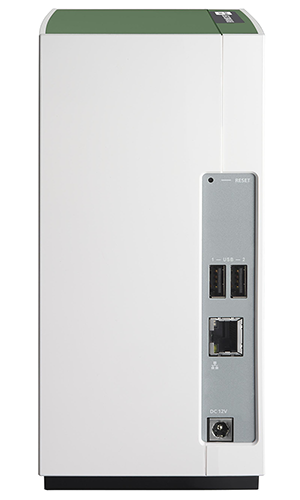 The rest of the ports are tucked around back, where you'll find two USB 2.0 ports, Gigabit Ethernet and a connector for the aforementioned power supply. Spending more on a premium NAS might afford you dual LAN, HDMI output, an SD card slot or forward-looking USB Type-C, yet it is no surprise to find that such features aren't part of the TS-228A remit. Hoping to assuage any fears of an underpowered box, Qnap equips the unit with a quad-core 1.4GHz Realtek RTD1295 processor and 1GB of DDR4 memory. The ARM-based CPU is a welcome upgrade over the dual-core chip that presided in the original TS-228 from 2016, but do remember that unless stated otherwise, the TS-228A is sold primarily as a diskless solution, leaving it up to the end user to add the required amount of storage. Doing so is a simple and hassle-free process. Undoing a tool-free screw on the bottom of the unit allows the side cover to slip off, revealing a pair of 3.5in SATA 6Gbps drive bays. Two sets of rails are included, allowing for drives to be installed without the need for screws, but you will need to source your own drive bay converters if you intend on using 2.5in disks. A small internal fan helps keep everything cool, but there's nothing else of note on the inside and memory expansion isn't supported; what you see is what you get. The hardware itself is by no means ground breaking, but one genuine reason to consider a Qnap NAS is that the firm's software operating system is one of the best in the business and, in our estimation, second only to pricier offerings from Synology. 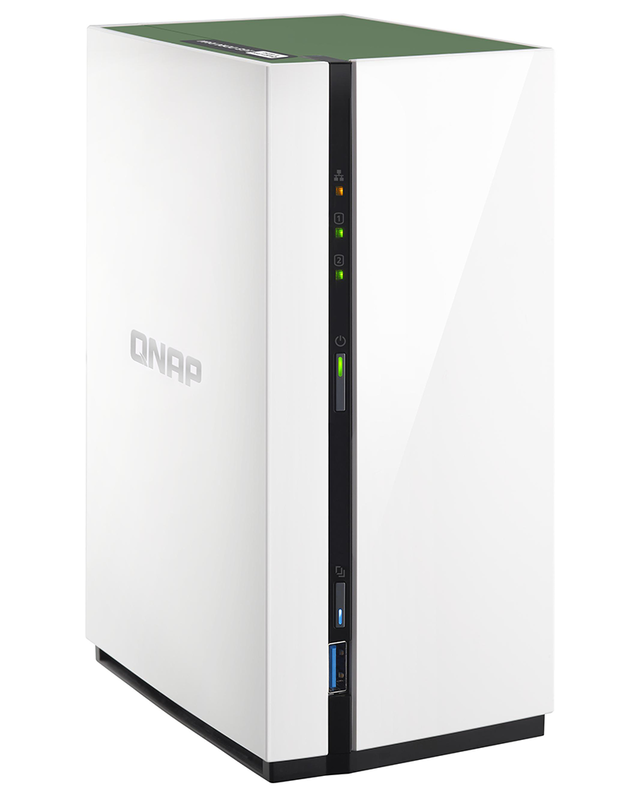 Setup is a doddle and Qnap scores highly in terms of presentation and usability. 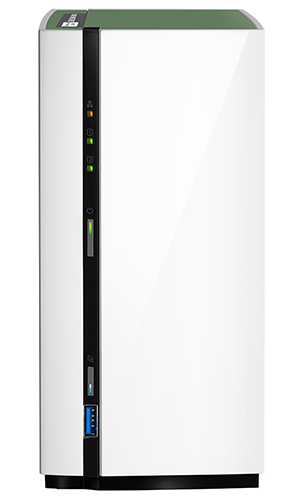 The Windows-like interface makes light work of multi-tasking and, though the TS-228A is an entry-level unit, it enjoys the same OS as any other Qnap NAS, helping to maintain continuity throughout the range. Yet while the software looks familiar, do be aware that the lower-end hardware capabilities introduce a few trade-offs. Presumably due to the limitations of the Realtek processor, the TS-228A doesn't offer apps such as Plex Media Server, which is available on more powerful units. 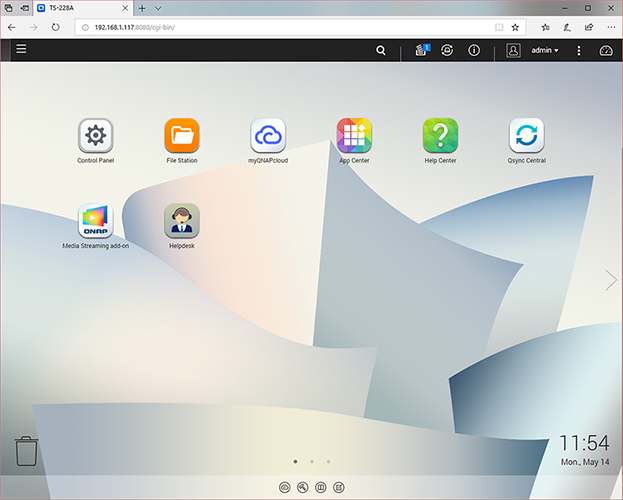 High-end features such as virtualisation and transcoding are also too big an ask, but all the essentials are well catered for, including a DLNA media server, snapshot-based backups, a dedicated download client and centralised storage for the entire family.